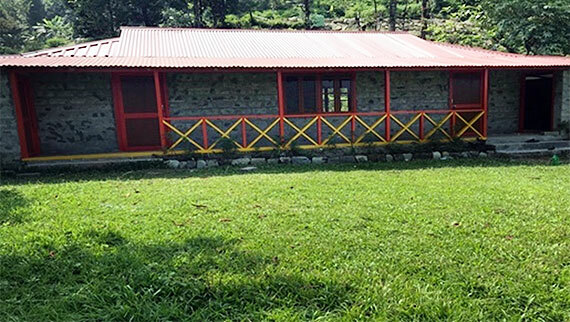 The Awake and Shine School was set up by retired Lt. General Jagat Mohan (“Jimmy”) Singh as part of NGO Project Awake & Shine in 2007. The project is supported by the Awake & Shine Charitable Trust. The school is a Not for profit establishment. 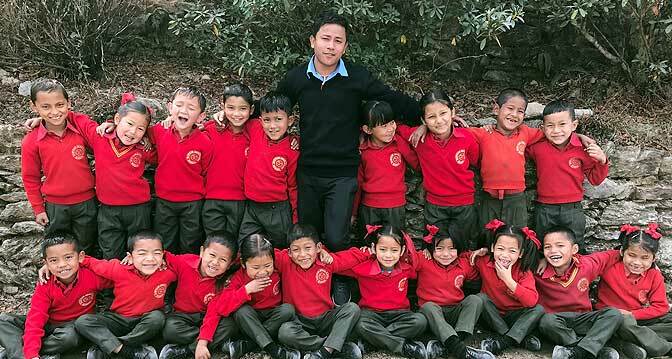 The School lies in the tangle of mountains between Siliguri and Kalimpong in village of Samthar. The driving time from Siliguri, or Kalimpong or Darjeeling is about 2.30 hrs. Why Awake & Shine ? 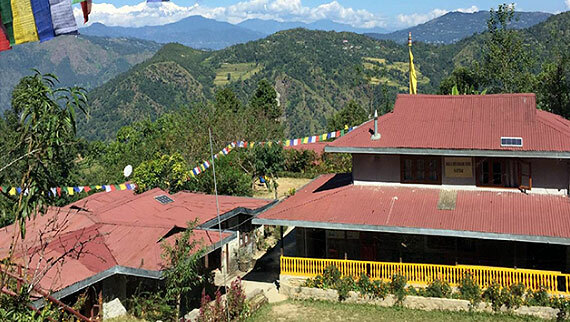 The General desired to change the image of rural schools by providing quality English medium primary education and create income generation by developing village tourism. He wondered as to how it was expected that children would become achievers in the future, if their childhood schools set such poor examples? Moreover, it was his belief that what we teach, must not be just knowledge, but should lead to preparing the young for the challenges of life. How are Awake & Shine Schools different ? 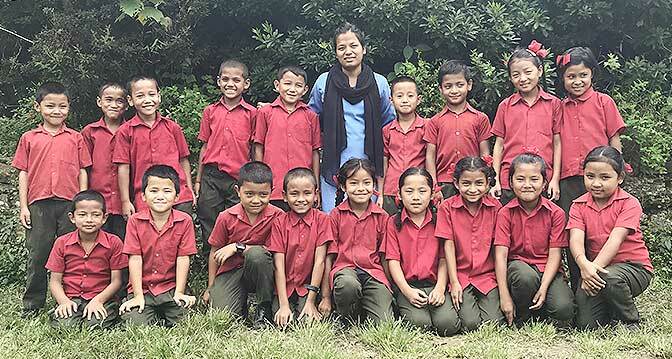 The Awake & Shine Schools are different from other rural schools in the Darjeeling hills on five counts. Firstly; Quality infrastructure and learning aids, provided at the school match urban private schools . These have been creating by using local material, employing local artisans, as a measure of empowerment for the local community. Secondly; The school has developed activity based methodology to teach English, mathematics, and computer literacy, which is suitable for rural schools. Thirdly; Personality development has been included in the curriculum, and experiential learning methodology has been pioneered, as a tool to build personality alongside with academic learning. Fourthly; The school has established that a child friendly, non -traditional teaching team, can achieve amazing results by in-house training of local youth. Fifthly; Integrated village tourism has been harnessed to generate funds from visiting tourists. We are developing a second school to replicate the Samthar model, at the isolated village of Chota Suruk. The School will open with the nursery class in February 2019. 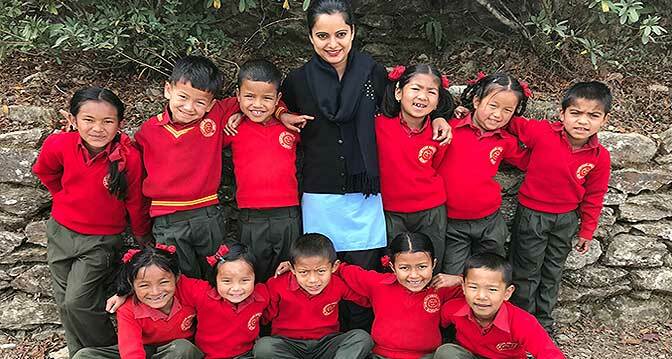 A team of dynamic, home grown teachers and a classroom of happy children is what it takes to transform rural primary education. 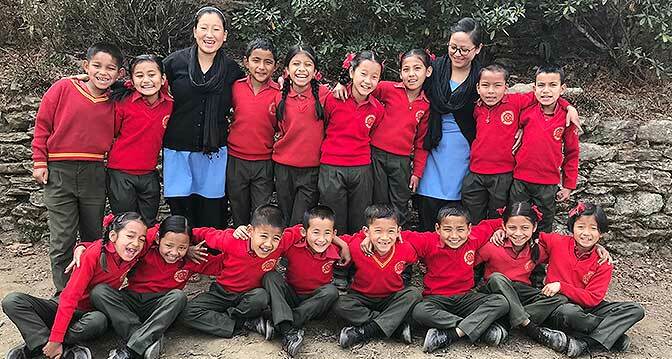 Set up on a shoe string budget, we created a school of the future with a unique curriculum designed to build personality, boost confidence and empower children. Learning by rote was a thing of the past, and we created a fresh evaluation system where personality building alongside academic learning has been showing positive results. Our children are confident, fit and proficient in English, they learn to think for themselves and have developed sharp mathematical abilities. They are equipped to take on challenges in a number of ways and easily get admission to any mainstream English medium school after finishing their primary education here. Visit us and see for yourselves how the fresh air of our new age learning is blowing away the cobwebs of the past. We need your help to spread the message and create more schools. Interact with us, sponsor a child, Donate for building infrastructure. Do join us to lay the foundation for “change makers of the future”. The Awake & Shine Primary school Model offers a new way of teaching and creating happy learners. We have found tentative answers to the questions: What to teach, how to teach, and how to assess. We have created a fresh syllabus, backed by a new evaluation system, interlocking Academic learning with personality building. We have introduced practical teaching methodology based on activities, games, songs and experiences. Our in-house teachers’ induction course followed by “on the job” training is churning out competent and imaginative teaches who are loved by their pupils. Children finishing their primary course with us have validated our approach, by their ability to compete with urban children. If you are a caring World Citizen desirous of changing the face of rural education in India, help us to create more such schools. We need your suggestions, encouragement, and donations. All Rights Reserved [Awake & Shine Primary School]. Website Design and Development Service Provided By Techno Developers Group.